The area around Cunningham falls is loaded with plants and animals. 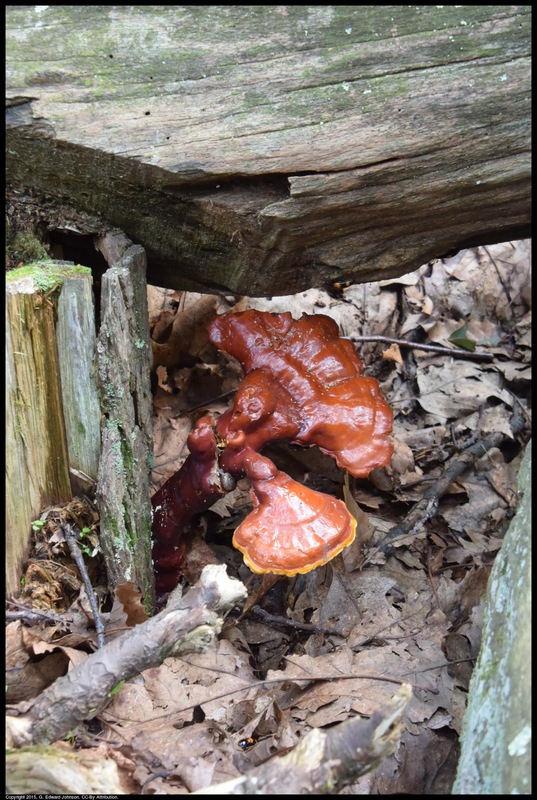 When I was there I saw dozens of small toads, deer, and lots of interesting and colorful fungus and flowers. 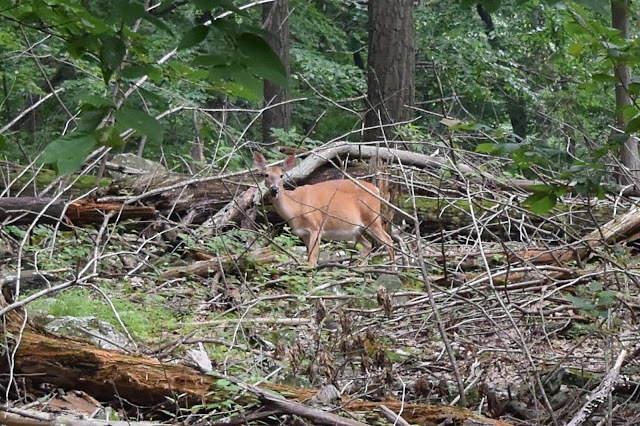 This deer was hanging out along the cliff trail. 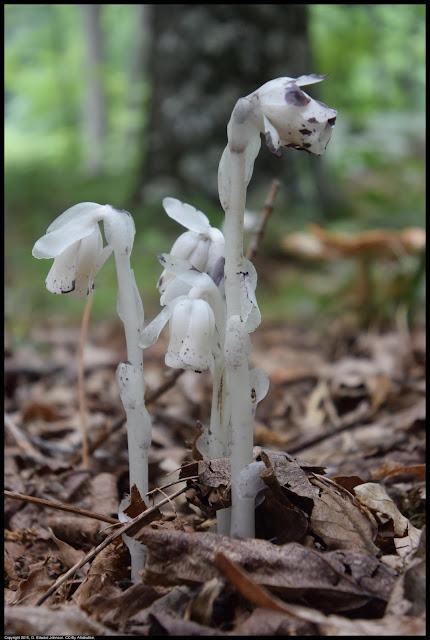 Indian pipes. These low-growing small flowers usually come out of the ground in small clumps. 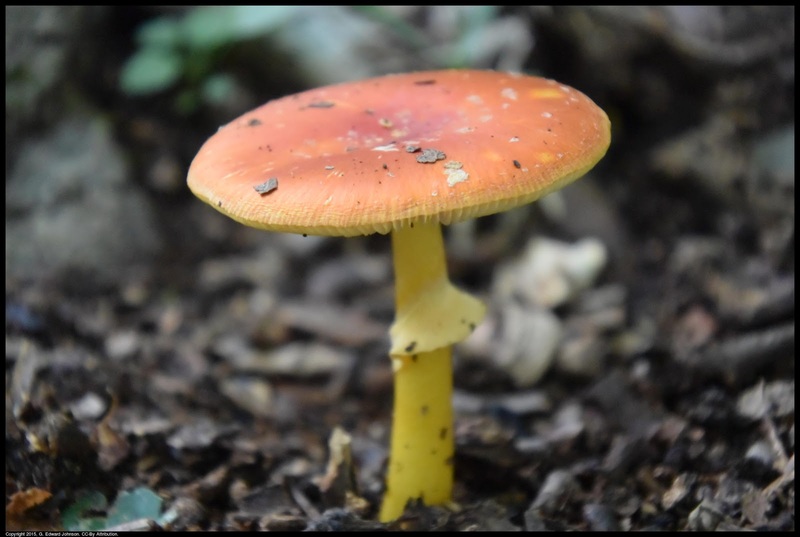 Orange and Yellow mushroom. It was growing right in one of the campground areas. Odd-shaped fungus growing from the side of a tree stump.